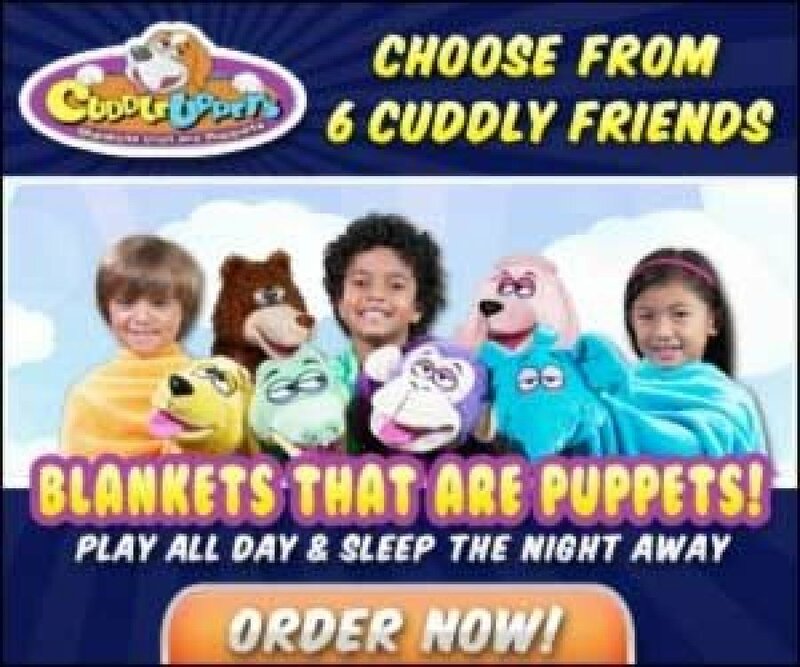 Cuddle Uppets – A cross between a cuddly blanket and a cute puppet. Your kids will love to cuddle, hug, play. They will love these warm and fuzzy friends. Play all day and sleep the night away. Blankets that are puppets what a unique and fun idea. They cuddle and hug and wrap you in love. They play with you all day and sleep the night away. Just cuddle play and love. Cuddleuppets are your two most favorite things rolled into one.